While some may sing “Raindrops on roses and whiskers on kittens” etc. to the tune of “My Favorite Things”, around here those lyrics go more like “Drywall and shingles and porches with railings, workers who show up on time without failing”. Nearly six months out from Michael the small talk at every social gathering remains centered around how is your home coming along? I attended a funeral this week and chatting with friends and family afterwards it was no different. There is a shared frustration of a seemingly endless need for repairs with a workforce overwhelmed by that demand. But while we’re slowly making progress, market demand for property remains strong. This week we had three closings and five new contracts. Sellers added nine new listings, but only made two price changes, yet another indicator of a strong market. 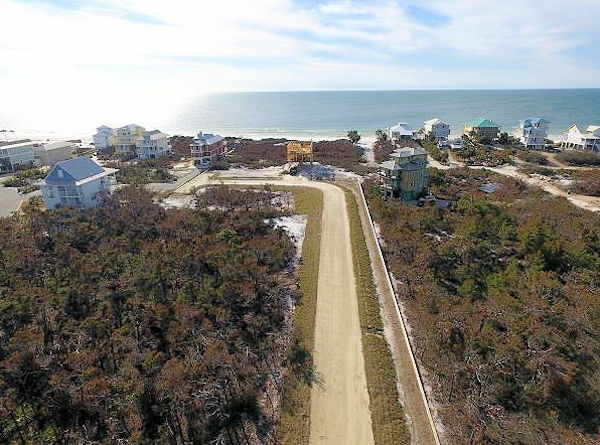 Our inventory swelled by five, closing the week at 237, with 51 homes and 186 lots listed for sale in the Cape San Blas, Indian Pass and C-30 Corridor market. 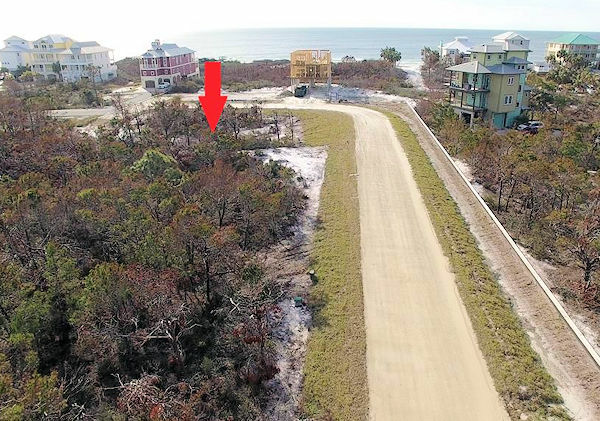 Two of our three sales are in Monarch Beach starting off with this 51′ by 548′, 0.54-acre gulf front lot listed for $549,000. Platted in 2017, this little subdivision is located on the Cape just a bit south of Rish Park and Hibiscus Beach. It has modest annual HOA fees of only $250.The developer sold it on Monday for that full list price of $549,000. The second Monarch Beach sale is this irregularly-shaped 0.15-acre first tier lot that went under contract earlier this month with a list price of $223,000. It, too, sold on Monday, but for less than list for $205,000. Our third and final sale is a bay view lot in Treasure Bay on the east side of C-30. The half-acre lot is in an AE flood plane and measures 103′ by 217′. The seller bought it at the height of the real estate boom in 2004 for $120,000, had it listed for $29,500, and sold it for that full list price. Now on to our five new contracts, the first two of which are in Barrier Dunes on the north end of the Cape, beginning with this pond-front, 2-bedroom, 2-1/2-bath, 1,377 square foot townhouse that went under contract on Friday with a list price of $339,000. It has a strong rental history and is being sold turn-key, ready to keep on renting or to move right in. It last sold in 2005 for $420,000. 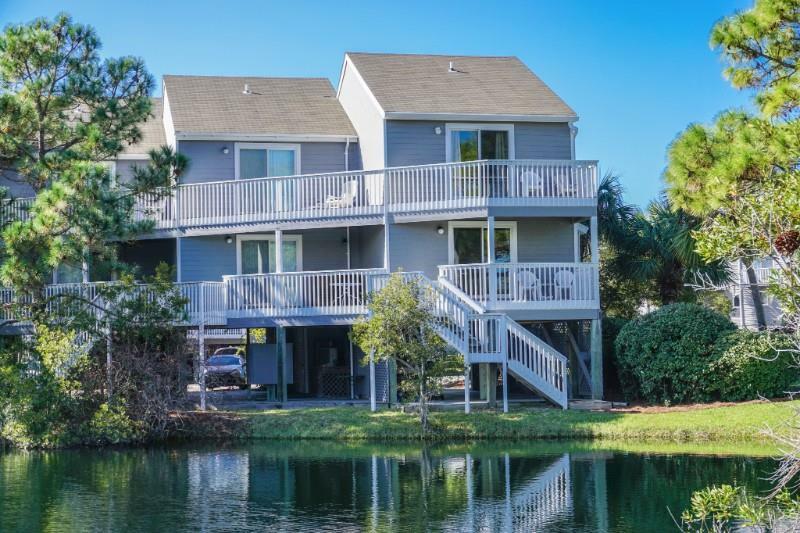 Just around the corner on Barrier Dunes Drive buyers submitted a winning offer on this 2-bedroom, 2-bath, 1,216 square foot townhouse also listed for $339,000. The sellers bought this one in the summer of 2004 for $295,000. It, too, has a strong rental history and is being sold turn-key. 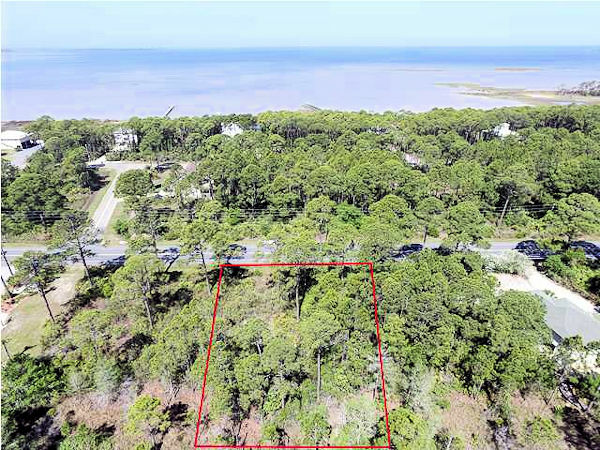 We’ll head south on Cape San Blas Road roughly three miles for our third contract which is on this 6.65-acre bay front acreage with 413′ of bay front. The property is roughly located across the street from the Seagrass subdivision. The family has owned it for decades so no pertinent sales history is in the county records. On Wednesday they accepted an offer on it sporting a list price of $1,152,270. 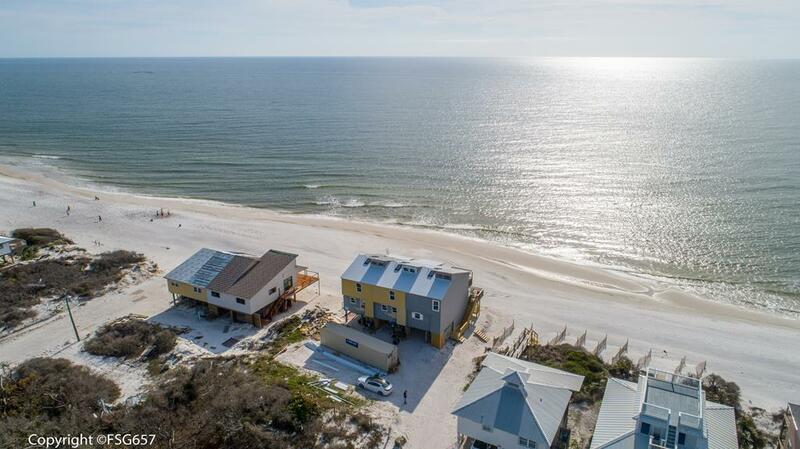 Just a little further south over on the gulf the parties shook hands on one of these three gulf front townhouses on Seahorse Lane recently listed for $399,900. 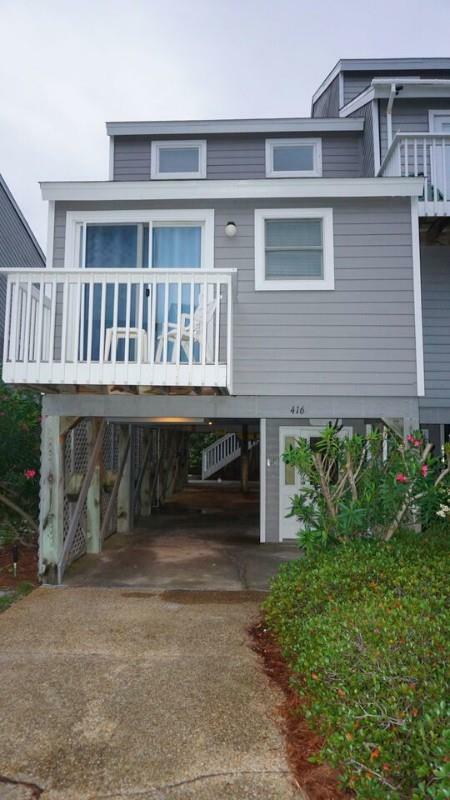 As you can see in the photo, since Michael the triplex essentially sits on the beach. When I moved here in 1994 there were five similar townhouses seaward of them that were washed away by Opal. The sellers bought the 2-bedroom, 2-1/2-bath, 1,224 square foot end unit in early 2016 for $245,000 and have made a lot of upgrades since then. Contract number five takes us over to Treasure Shores along the C-30 Corridor. 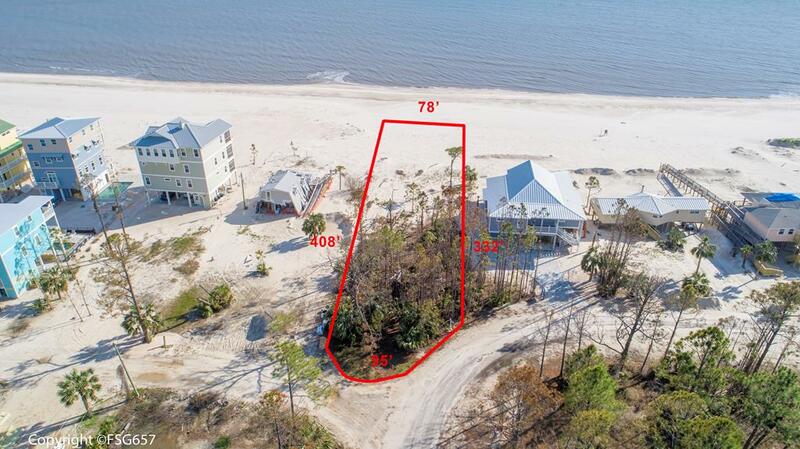 Last weekend buyers had their offer accepted on this 75′ by 412′ gulf front lot listed for $399,900. Back in 1985, the sellers bought it for a mere $49,900! And that brings us brings us up to date. I want to give a special shout out of gratitude to those of you who have rolled with the MLS changes, hung in there continuing to follow my blog and asked to be added to my email list of the version with links. I can’t tell you how much I appreciate each request. Thank you so much and I hope I continue to deliver content you find useful and interesting. If your interest is piqued by current activity whether as a seller or buyer, let me know. Give me a call at 850-227-5197 of shoot an email to sherri@sherridodsworth and I’ll be glad to answer any questions you may have. Thank you so much for stopping by today; your following my blog is absolutely one of my favorite things.